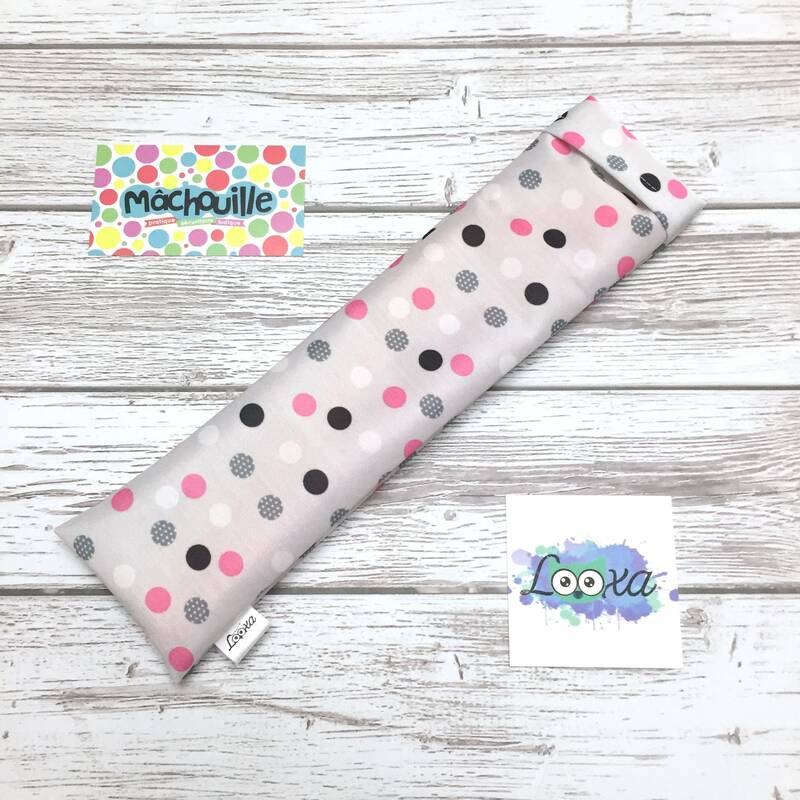 In partnership with Looka, we are proud to offer you sets of reusables silicone straws with beautiful waterproof and washable pull cases to carry your straws everywhere! This set includes 1 small curved straw, 1 large curved straw and a small and a large cleaning brush. 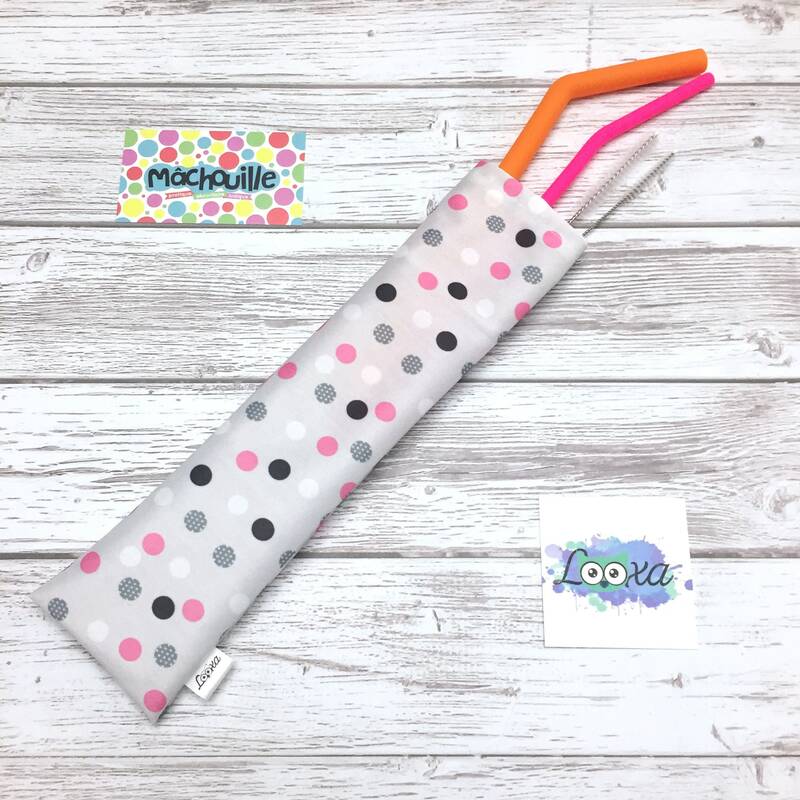 Reusable straws are made of non-toxic food grade silicone and certified BPA free, phthalate free, cadmium free, lead free, mercury free and other heavy metals free. The length of the large straws is 24.5 cm and the diameter of the hole is 8.5 mm. For small straws, their length is 26 cm and the diameter of the hole is 5 mm. They can be cut to the desired length. 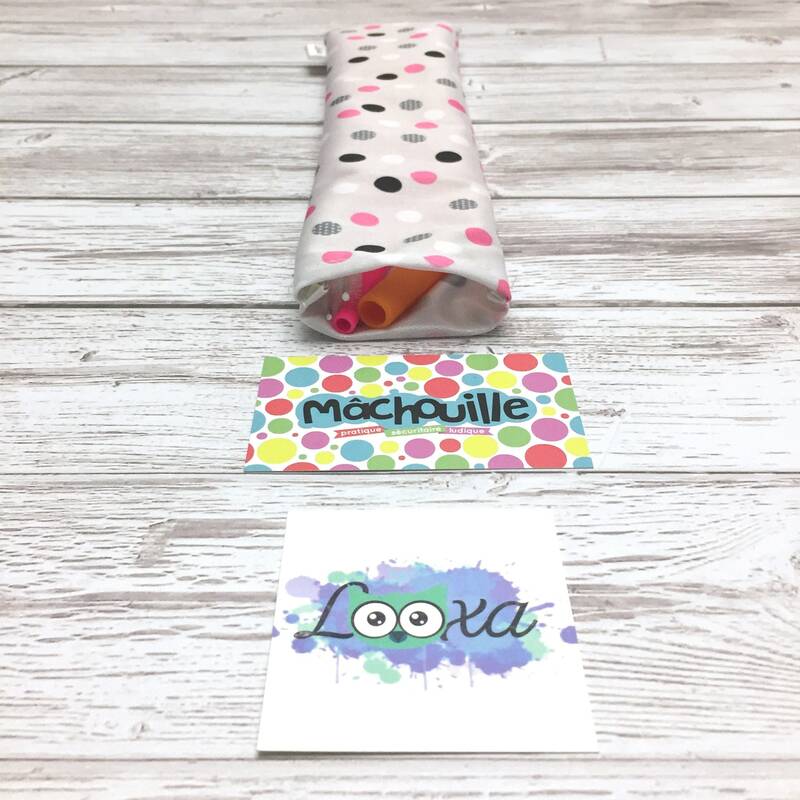 The Looxa case is made of pull, a waterproof fabric, and has a fold on the top to close it. It is 7 cm wide and 28 cm high. - Clean by hand with the brush using water and soap. Rinse well and air dry. Also goes in the dishwasher. - This product is not designed to be chewed. - The use of straws should always be done under the supervision of an adult. - Do not leave within the reach of animals. - Check the condition of the straws before each use and stop using it if you notice any breakage or alteration. All Mâchouille’s products are offered with a 30 days warranty, from the date of receipt of the order, against any manufacturing defect.